Contact our dealership online, by phone or by stopping by Flatirons Subaru in Boulder Colorado to learn more about the 2019 Subaru Ascent. This is the vehicle that was originally billed as the 2018 model, but it's been moved back to the summer of 2018 for an official release date. When it comes to our lot, you can be sure it won't last long. This SUV is getting a lot of buzz, and we think it's going to be an extremely coveted and popular vehicle to own. When you come down to our dealership, we will help you get an incredible deal, but you have to get in touch with us first. Lots of nice features have been added to the outside of this SUV. You'll get a power rear tailgate as optional equipment. IT can be opened with the push of a button on your key fob, or you can use the controls on the dashboard to control the gate. This makes it easier than ever to access your cargo area and get back on the road or unload from a long trip. The integrated roof rails also give you additional room should you want to attach a bike or extra luggage to the top of your vehicle. You can even connect a kayak or rooftop containers to increase your overall storage and make sure you never have to leave anything behind. Contact our dealership online, by phone or by stopping by Flatirons Subaru in Boulder Colorado to learn more about the 2019 Subaru Ascent. 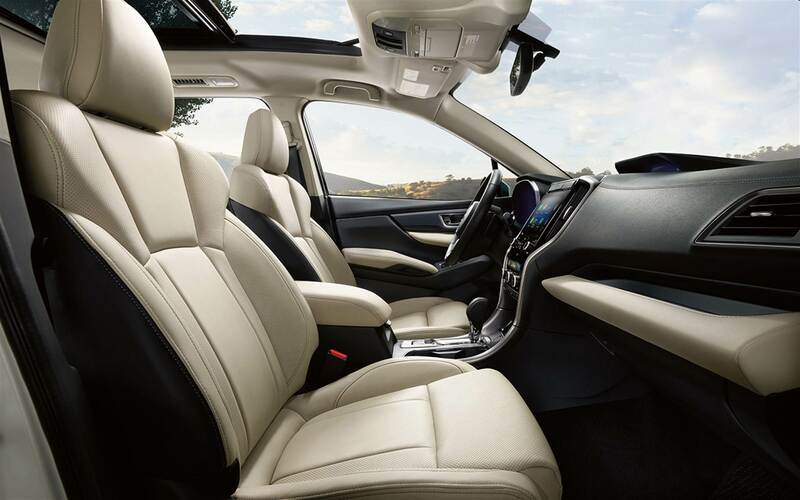 This vehicle has a spacious interior that is exceptionally comfortable. You'll love the fact that it functions as a mobile workstation to help you stay in touch, get your work done and maintain a highly reliable connection to the outside world. 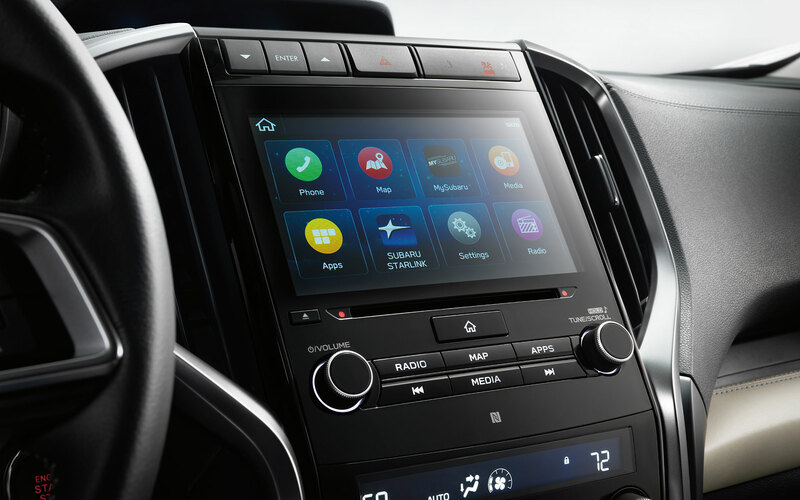 Using voice-activated technology to control your smartphone and media, you may even be tempted to move your office to your car by the convenience features that this vehicle offers. The vehicle is designed to provide enough room for all of your passengers and their gear. When you come down to our dealership, we will help you find the perfect trim level for your needs and then we will update you when it becomes available. Our dealership wants to help you get a good deal on your next vehicle, but you must come down and see us first. This car is going to have 19 cup and bottle holders to give you plenty of options for every passenger in your vehicle to relax in comfort. 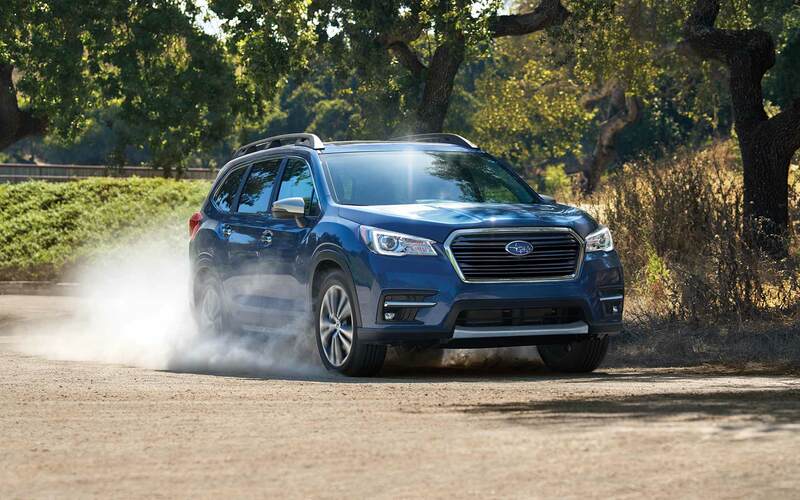 Read our reveiw of our 2019 SUV models to find out more about the Subaru Ascent. This vehicle comes with the ability to two more than 5,000 pounds. It also has more torque and maximum capacity than the GMC Arcadia, which is another very admirable vehicle. This vehicle is designed to give you the most benefit from your purchase and make it, so you don't have to cram anything in on your journey. You'll love the reinforced side beams and the four-wheel antilock disc brakes that make it easier to brake and stop. Get to know this incredible vehicle that has a 196.8-inch total length and enough room to carry everything along with you. 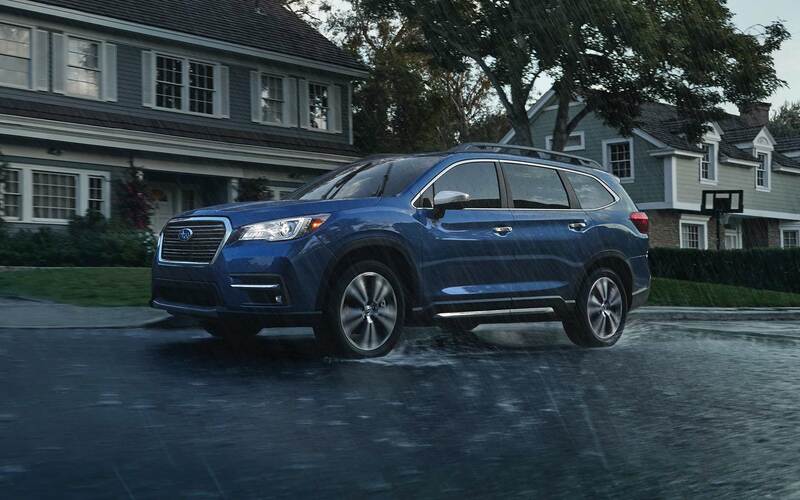 Read our reveiw of our 2019 models to find out more about the Subaru Ascent. The vehicle also offers several wheel options, including 20-inch aluminum-alloy wheels on the Limited model. A turbocharged 260-horsepower engine with a Boxer engine comes standard on this vehicle. You'll be able to get incredible torque as well to ensure that you can handle whatever your journey throws at you. Get to know this car and all of its amazing features to ensure that you have the best possible ride so that you can find an even more effective and efficient driving situation. When you come down and see this vehicle in action, you'll fall in love with its smart engine and capable features. 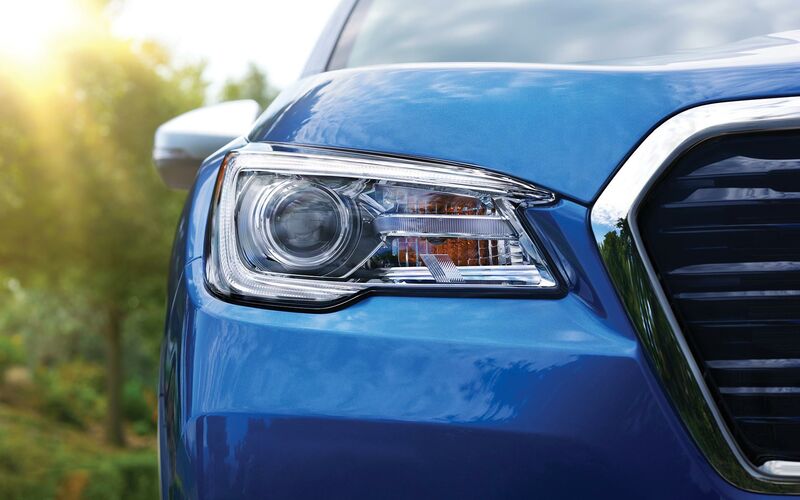 Contact our dealership online, by phone or by stopping by Flatirons Subaru in Boulder Colorado to learn more about the 2019 Subaru Ascent. Read our reveiw of our 2019 models to find out more about the Subaru Ascent. With 360 degrees of visibility, you'll be able to see in a complete circle around your vehicle. You'll also get the Starlink Safety and Security system, which includes features like automatic collision notification to help you get help more quickly when the airbags deploy. There is also an SOS system that is designed to help you get emergency assistance when you need an extra hand. The remote engine start system that also allows you to set the climate control functions will help you warm up or cool down the vehicle before you step inside. You'll even get a full complement of airbags to ensure you're well-protected in the event of an accident. Give us a call to find out more about this incredible vehicle. Get in touch with our dealership by phone, email, online or by visiting our dealership in person so that we can set you up with a plan. We will go over financing options, help you find the right features and ensure you get the vehicle that you want. Our dealership is ready to help you find a great deal, but you have to give us a call. *This article is intended for informational purposes only, please contact the dealership for complete and current details and offers.